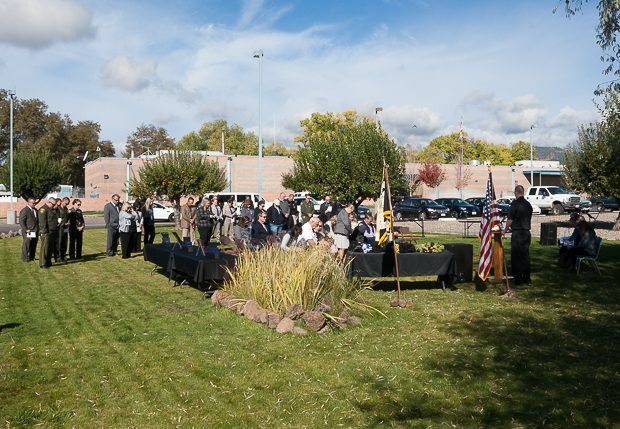 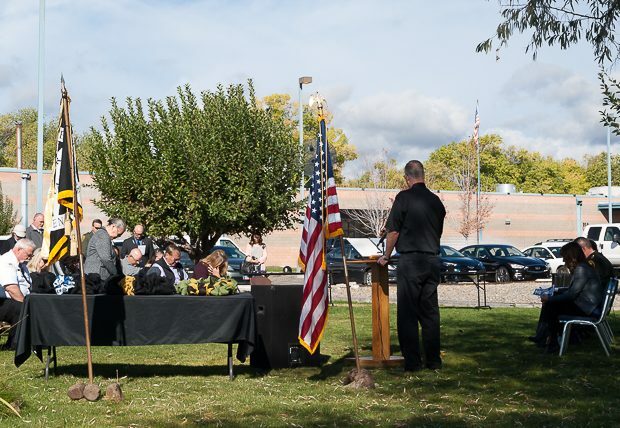 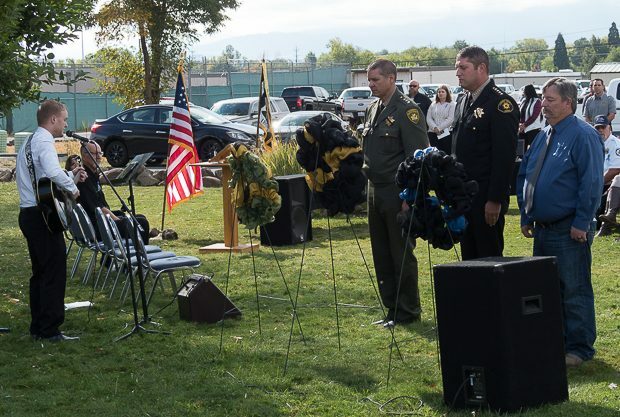 Modoc County Undersheriff William Dowdy, Lassen County Sheriff Dean Growdon and Susanville Mayor Kevin Stafford placing wreaths during the ceremony. 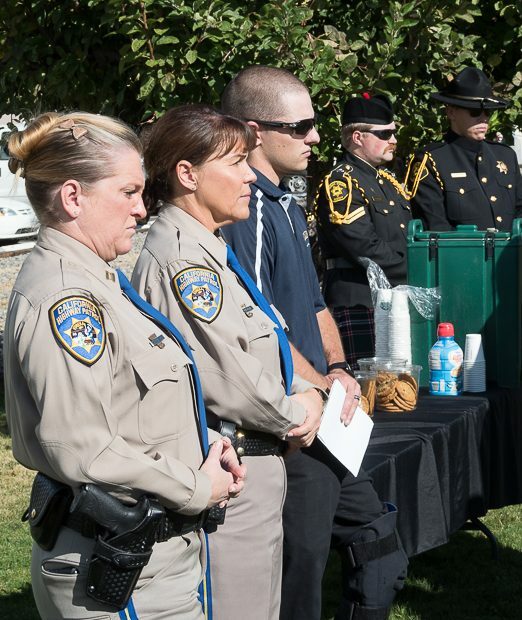 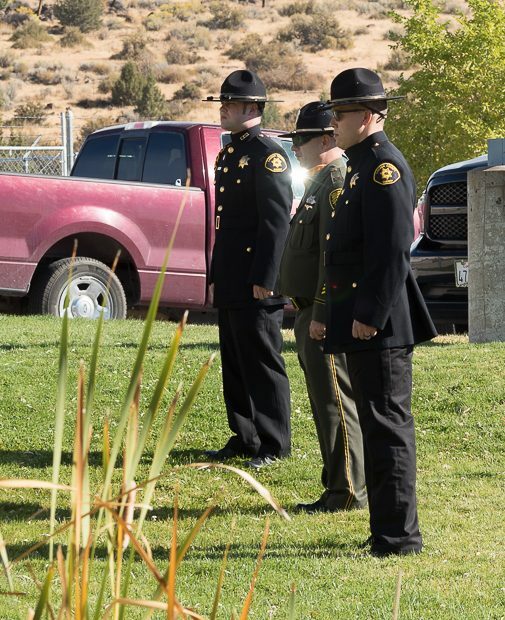 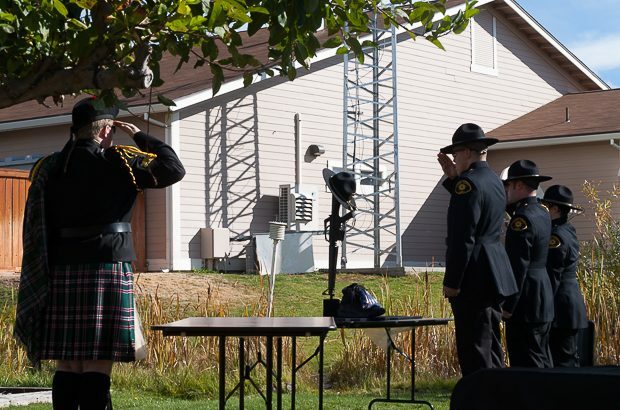 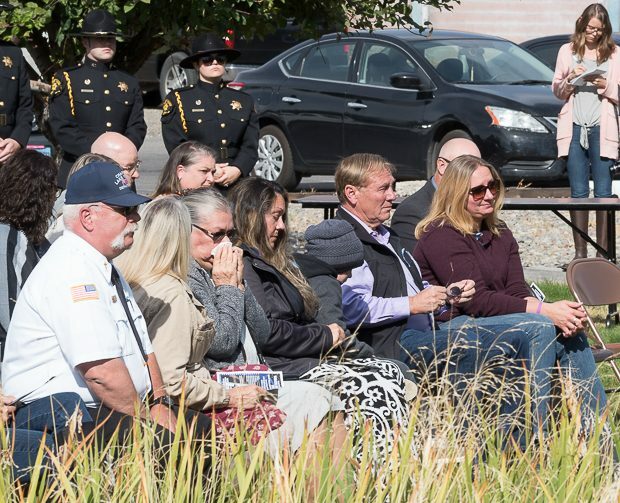 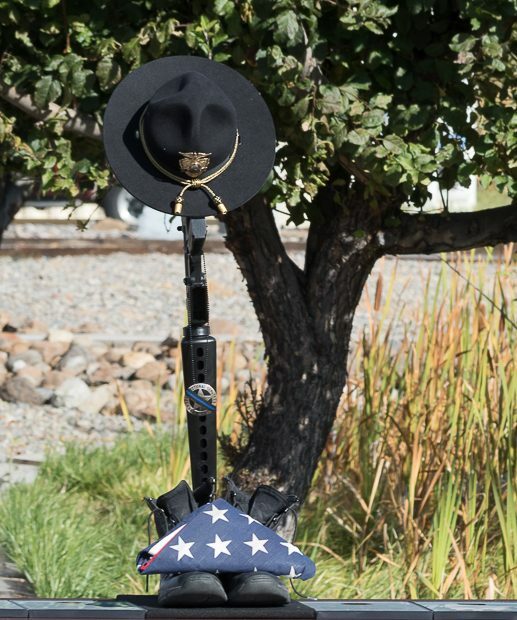 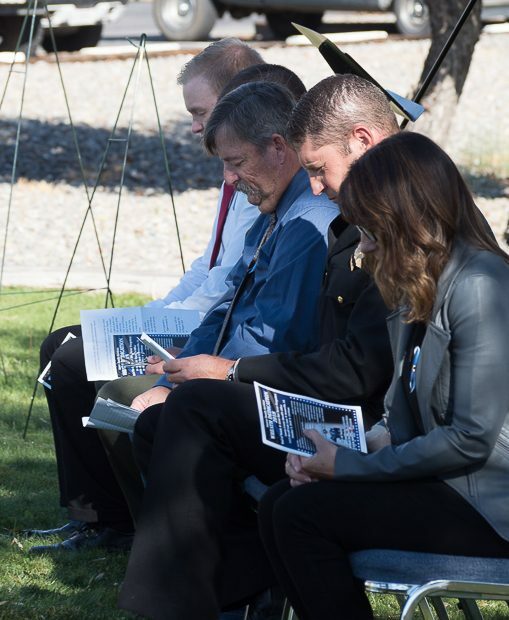 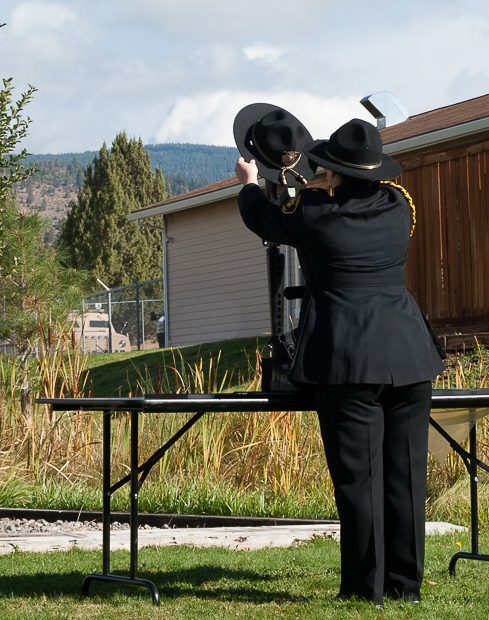 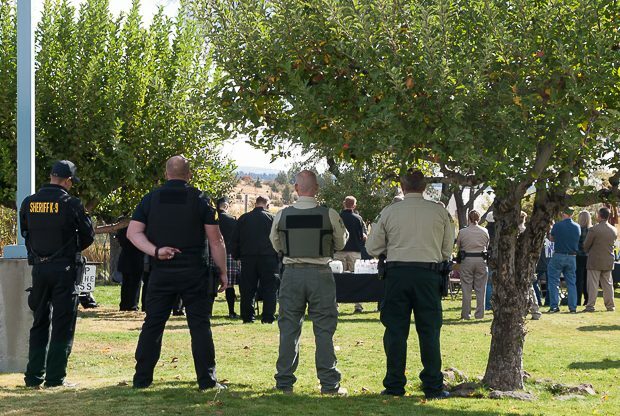 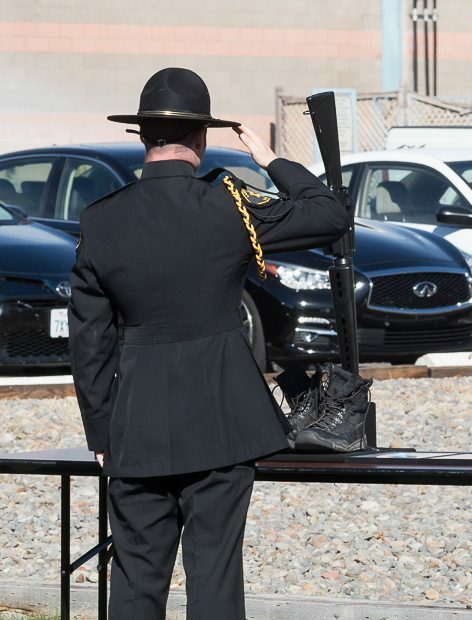 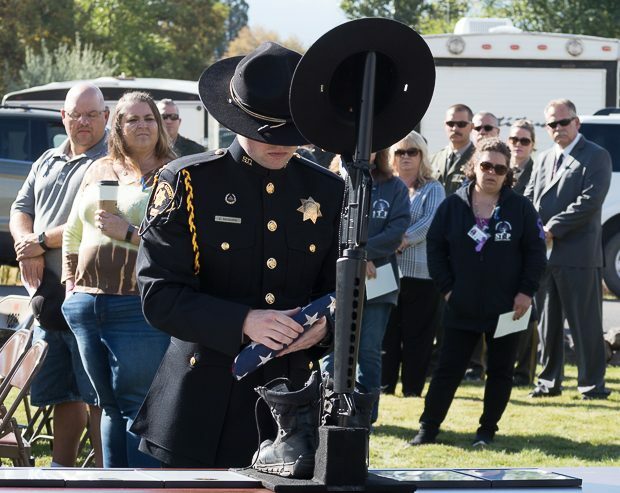 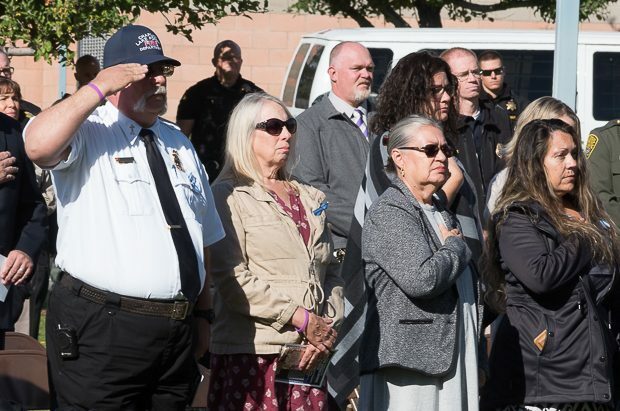 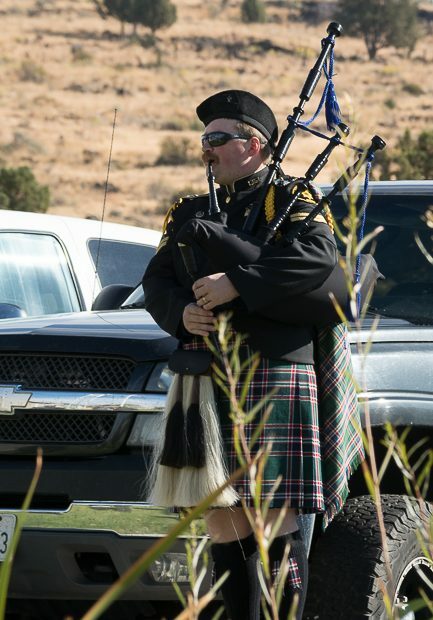 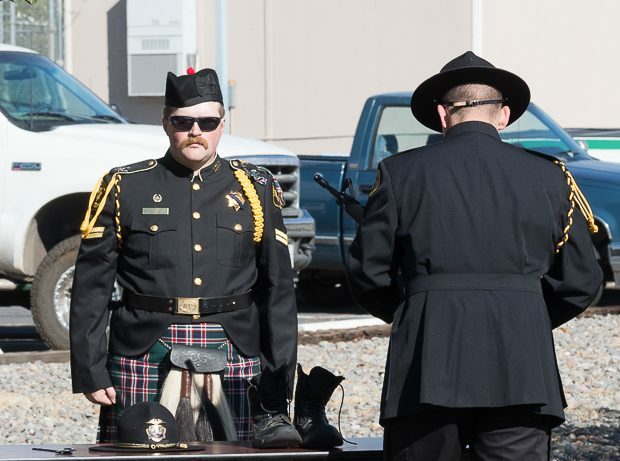 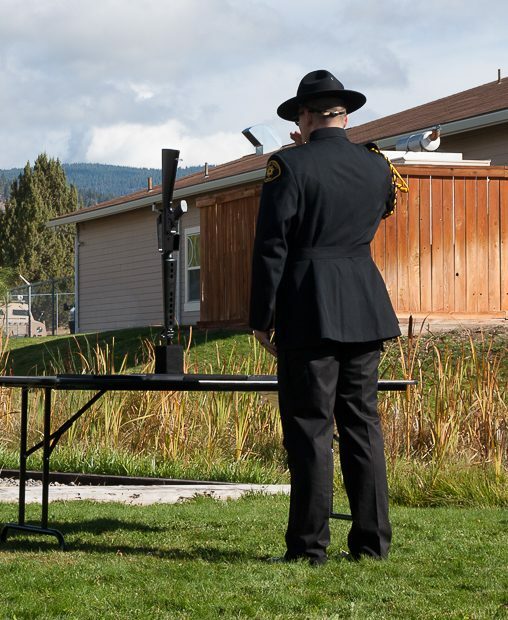 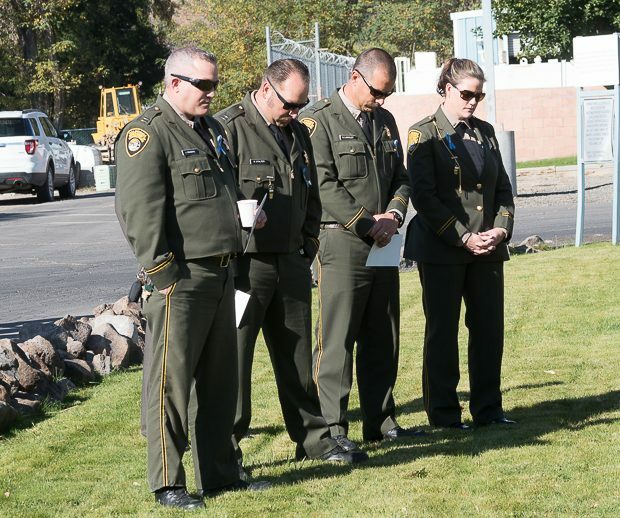 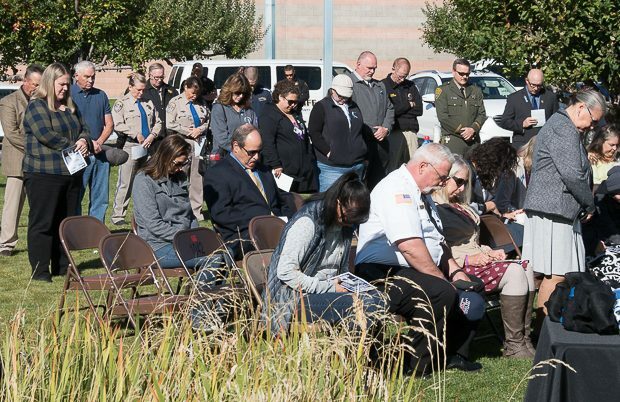 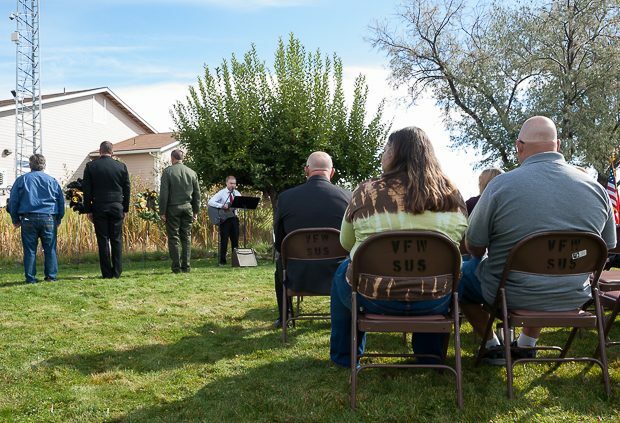 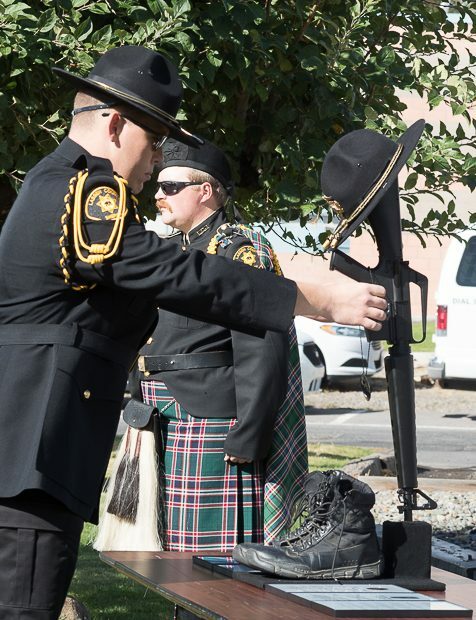 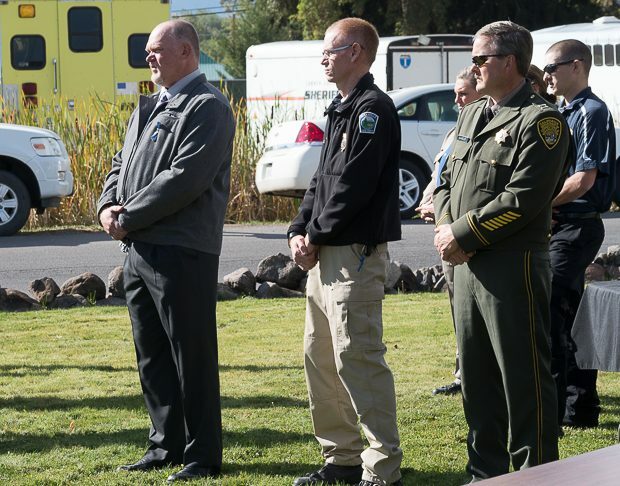 A crowd gathered at the Lassen County Sheriff’s Office on October 5th to share in an emotionally charged ceremony honoring the memory of Lassen County Deputy Larry Griffith, Susanville Police Officer Robert McElrath, Modoc County Deputy Jack Hopkins and other law enforcement personnel who put their lives on the line to protect victims of crime and to end domestic violence in our community. 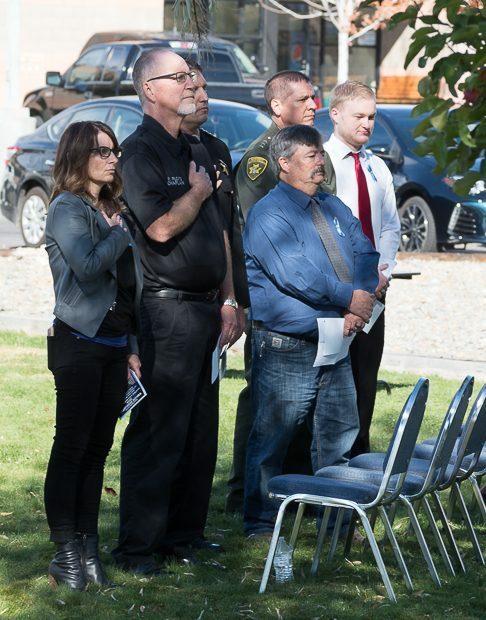 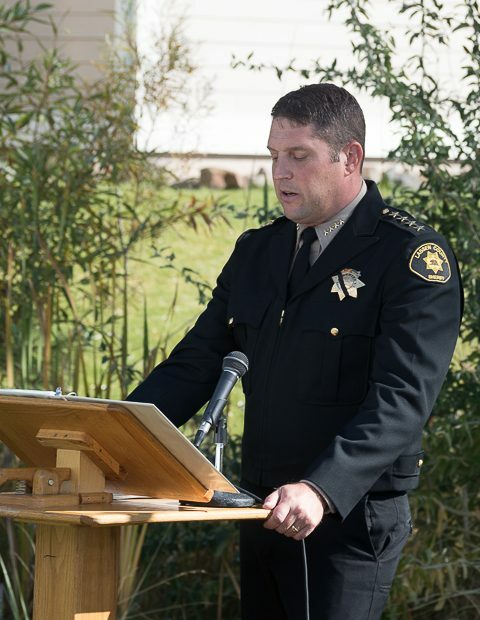 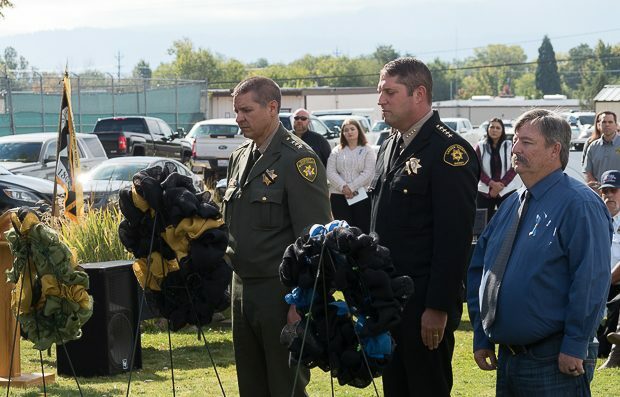 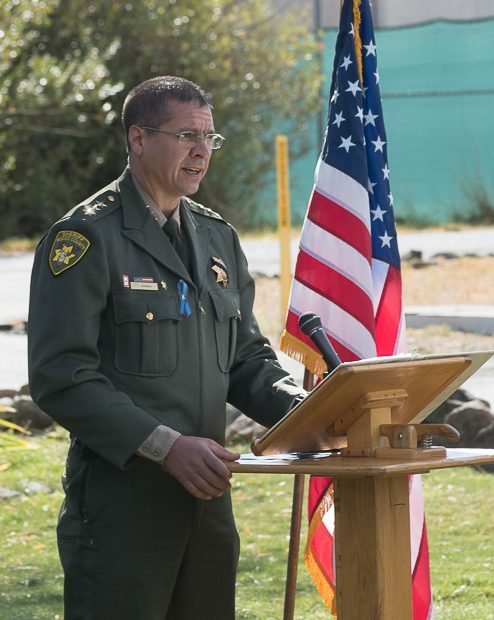 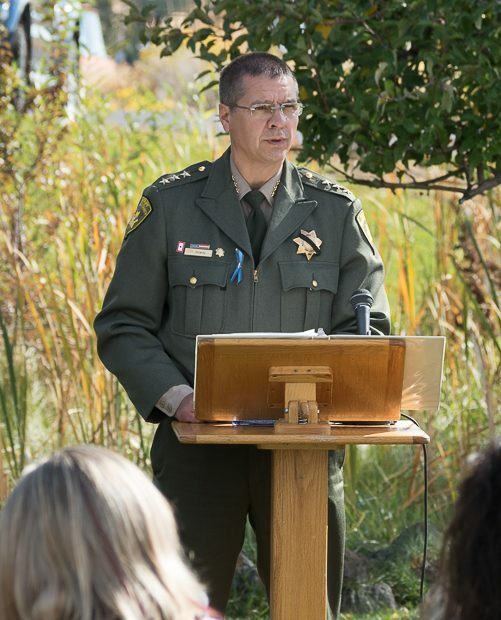 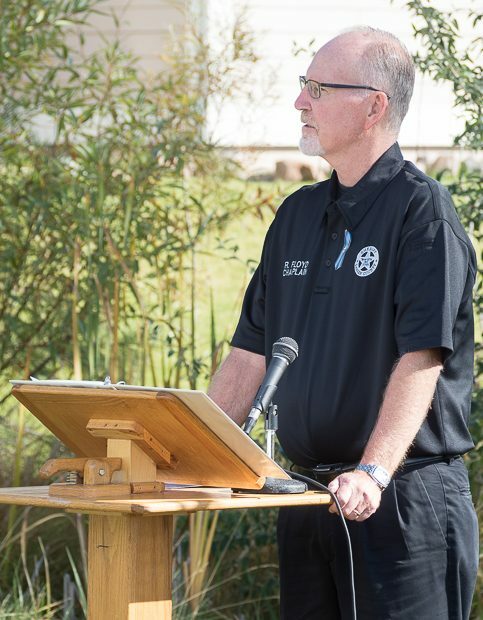 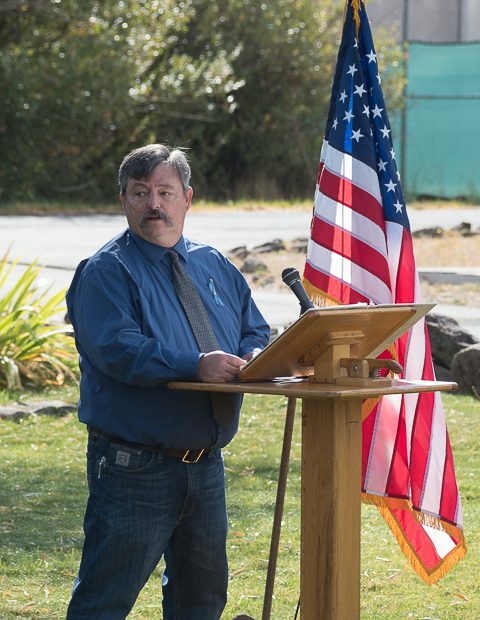 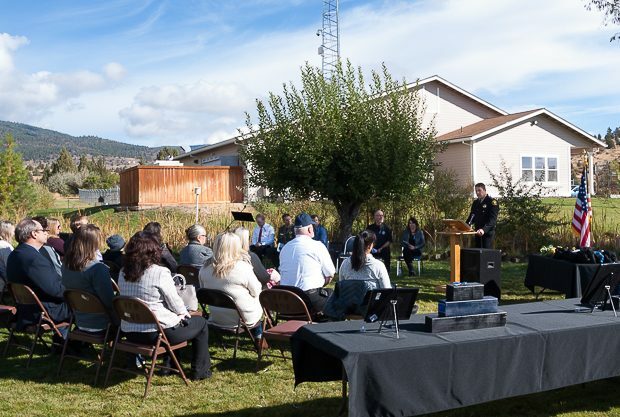 Speakers included LFS Executive Director Melissa Downing, Lassen County Sheriff Dean Growdon, Susanville Mayor Kevin Stafford and Modoc County Undersheriff William Dowdy. 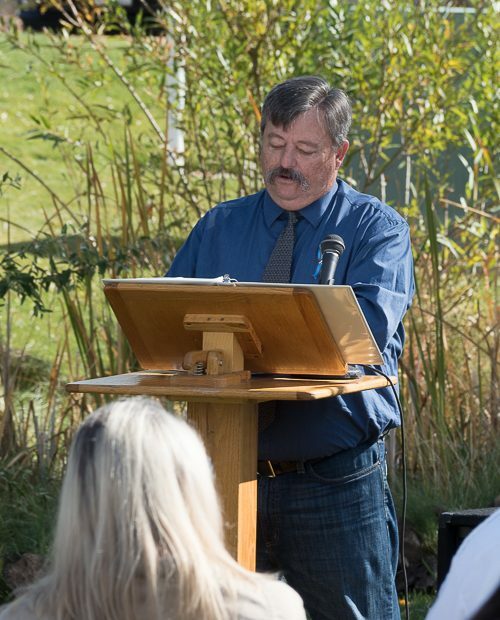 Local singer-songwriter Tyler Harmon also performed for the assembled guests. 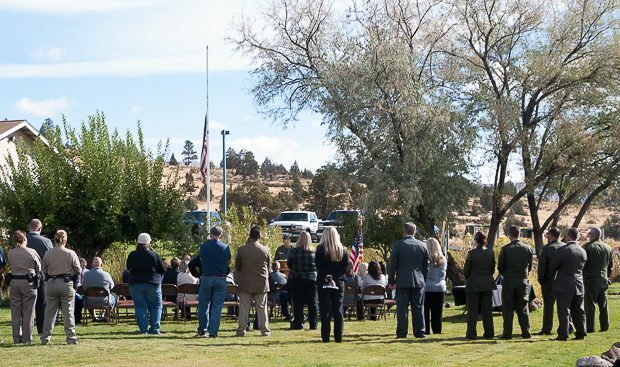 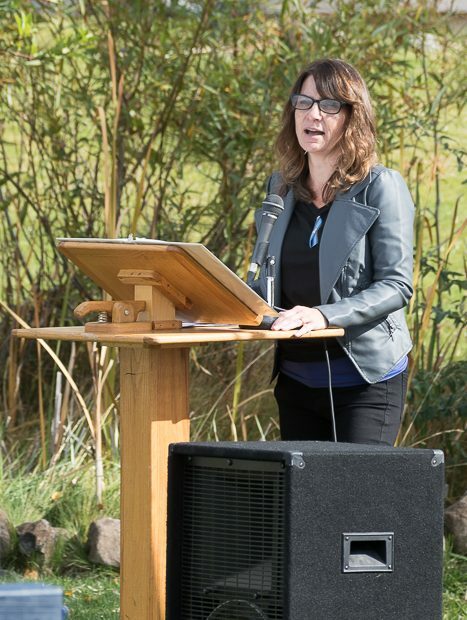 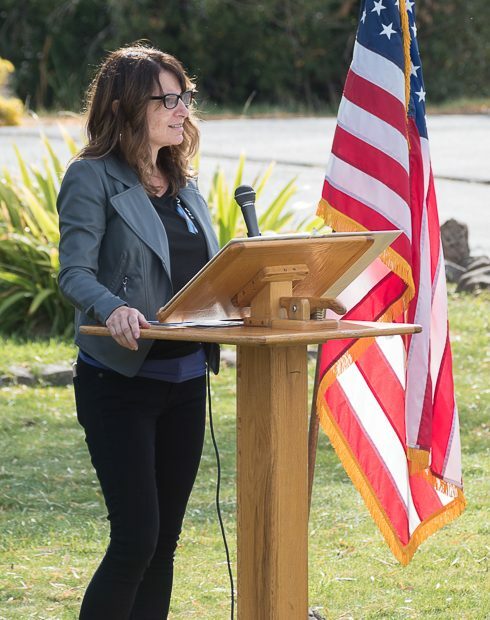 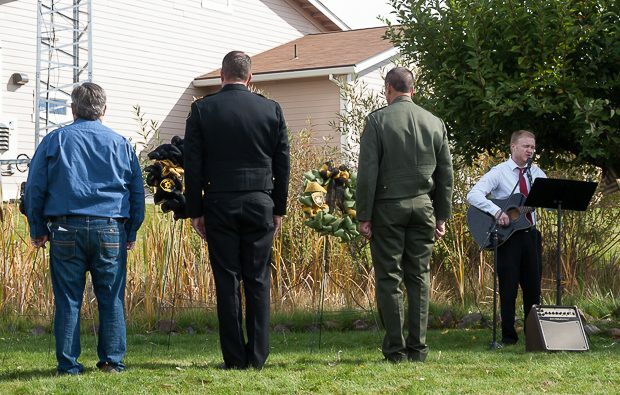 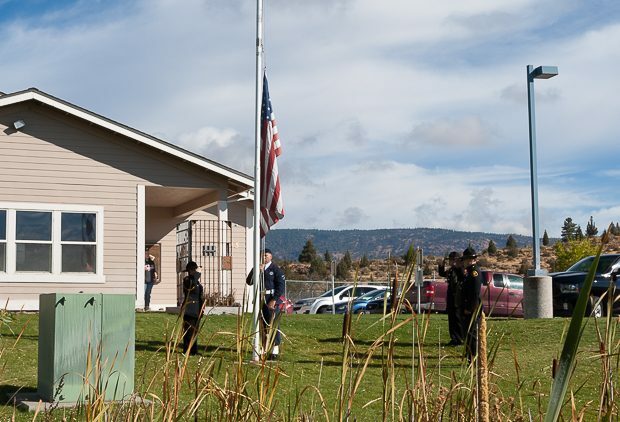 The ceremony is one of several events that Lassen Family Services is hosting in October to raise awareness during National Domestic Violence Awareness Month.